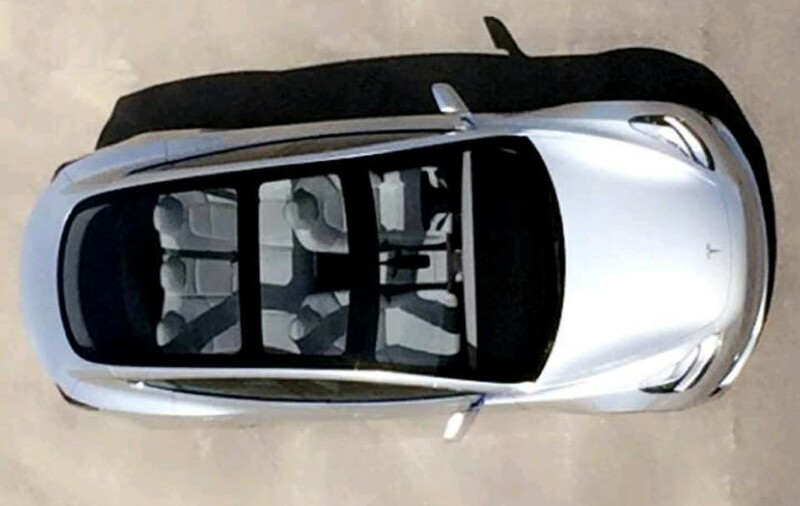 During the photo shoot yesterday, Motor Trend managed to take a picture from the top of the Model 3 featuring the glass roof which, Elon Musk mentioned during the unveiling, will give a sense of openness to the rear passengers and justifies the lack of a hatchback trunk. As mentioned earlier this month by Tesla VP Engineering Doug Field during test drives, the roof options will be available in metal, fixed glass or panoramic sunroof. Since we'll be seeing much more sun in the future, despite its 'open' look, fewer potential owners will be ordering the full glass ceiling/roof on the 3 - especially those living in the tropics where we are. Of course, solar panels will be in their heydays!